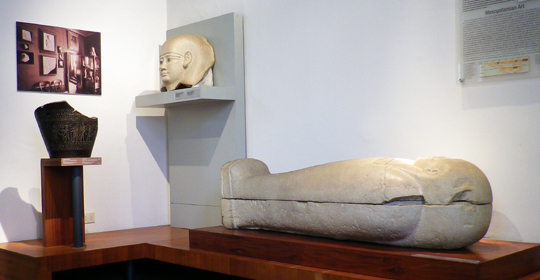 This piece is the type of model that Egyptian craftsmen used in carving their reliefs. On the upper edges are two measuring squares that show the depth of the relief. The image was the model for a work depicting a goddess or a queen with a refined hairstyle, crowned by a vulture headdress. 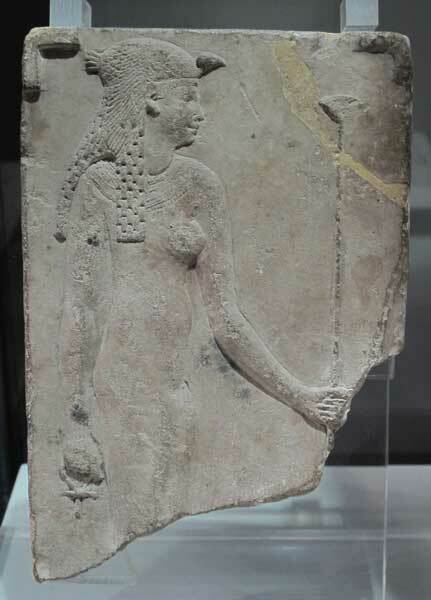 She is standing, holding a scepter that ends in a papyrus in her left hand and the symbol of life ( ankh) in her right.